Wow! The past two month have been nonstop traveling and amazing shows starting off with me going to Norway and then Chris Stefanetti, Kåre Amundsen coming to NY and capping it off with JT Lauritsen last week. It’s been an amazing run with more to come! This Friday May 18th I return for my monthly residency at the world famous STANHOPE HOUSE 45 Main St Stanhope NJ 8pm show in the Cabaret room. Joining me will be the amazing Buddy Allen on bass and Lee Jeffyres on drums. Special guests will include Matt & Jon Klein and a very special surprise guest! In the big room will be the incredible blues rock act INDIGENOUS. I’m very excited to be back! JT Lauritsen This Week! 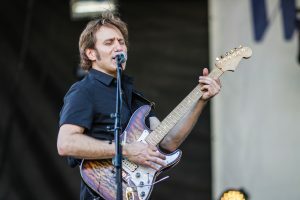 DAVE FIELDS SIGNS WITH FODERA GUITARS!